In today's global economy more and more people are operating their business using some kind of online software, application, or database. This makes it crucial for companies to their personal information and finances safe. There are various ways through which you can keep your information safe, and at All Delivered, we have compiled a list which will assist you in doing so. Avoid popular passwords such as "12345" or "abcd". Try to come up with something original, for example: "@neNight3#". Random passwords are more difficult for hackers to guess. Since it is written in this blog, I would suggest that you do not use the password. You might have noticed that in tip one I used an interesting password. It is important that you make your passwords difficult to guess on a whim. I would venture to say that almost no one would be able to guess that password. Your mission if you choose to accept it is to tell no one at all what your password is. It is pointless to have a strong password if you go around telling everyone what it is. Be wary of emails or websites which ask you to give up your personal information, including password. Legitimate websites and emails do not ask for such information, so if you receive something which asks for specific personal information be incredibly cautious. If you believe it may be legitimate, pick up the phone and call the person or company. Better safe than sorry. Occasionally change all of your passwords and security questions. To be on the safe side, change everything every three to six months. Keeping the same password for years gives potential hackers a lot of time to break into your personal or business accounts. Tip five: Do not leave a trail! If you have pictures of your children or pets posted on a social media website or on your desk, that is a useful tip for people attempting to gain access to your accounts without your knowledge. This is not only applicable to your actual password, but also for security questions. A security question based on a child or pets name is relatively easy to guess. A common question is "What is your mother's maiden name?" Don't just assume that questions is safe unless you know for sure that absolutely no one knows the answer. For those with a less than perfect memory it is difficult to remember various passwords. You are able to give yourself a "cheat sheet", but don't forget to be safe! A picture is worth a thousand words, but don't make it obvious if you have something which helps you remember your passwords. To keep track of password protected accounts you could write a cheat sheet on a stick-note and keep it safe. If you do this, make sure you omit or scramble some of the information. Another way to keep your passwords safe, while helping yourself remember is by having a "password manager". 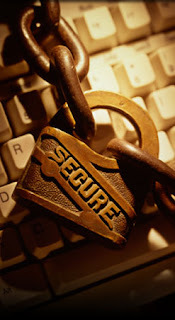 There are various online sites which keep your password information safe. You are also able to write everything down on a password protected document. The team at All Delivered hopes that these tips are useful to you and your company. If you are interested in a flyer and door hanger distribution campaign feel free to contact us!